Self-serve scans can be made without charge on one of six flatbed scanners located by the Multimedia computers on level 3. Full service or oversized scans can be scanned at the Paw Print for a service charge. Files saved as PDF unless otherwise specified. Files can be saved to patron-owned discs, drives or they can be sent via email. Files saved as TIFF unless otherwise specified. Oversize scans over 23" x 35" must be unbound and have one dimension at 56" or less. Oversize scans of specialty items over 11" x 17" must be arranged in advance with the manager. Metadata services are not available. Self-serve scanners are located in the Multimedia computer area on level three. 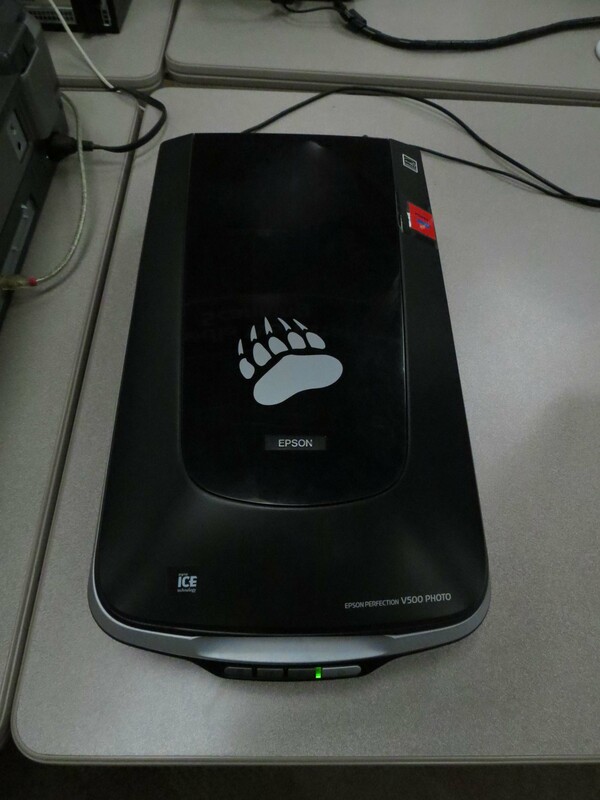 For more information on our scanners, see Tech Support or call them at 406-243-2953.